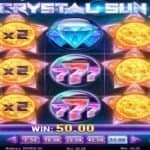 Are you looking to win great cash prizes while playing online video slots? Check out Full Moon Romance mobile slot for the same, where you could win huge amount of real money. Full Moon Romance is 5 reels and 15 paylines mobile slot game powered by Thunderkick software. This slot can be played using coin sizes of 10p to £100 per spin to any laptop, desktop, mobile phones or at tablets at any thunderkick casino online. 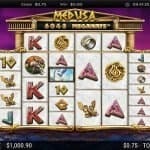 The slot offers a jackpot of 2,250 times of your total stake and there are 2 bonus rounds available in this game. 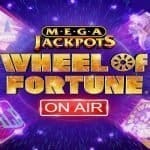 The first one is free spin bonus feature which could give you anywhere from 10 to 40 free spins with up to 2x multiplier. This slot has a 1950s theatre kind of feel. 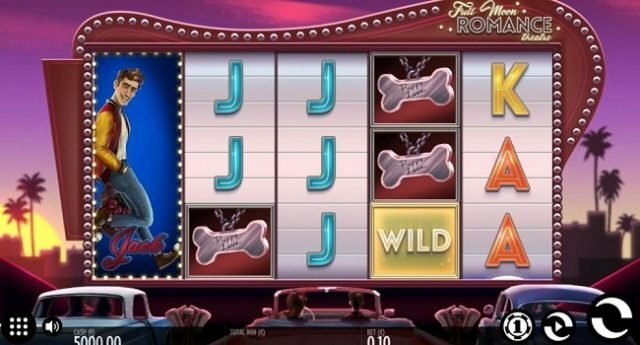 The symbols of this slot are A, K, Q and J playing cards as well as werewolves, a dog bone pendant, a bouquet of red roses and others. The game features a wild symbol and it can replace all other symbols except the bonus game scatter symbol. The silver moon is the Bonus Game scatter symbol and if you land 3 or more of these across a payline, you will trigger free spin feature. 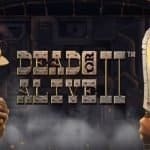 3 scatters will give you 10 free spins, 4 scatters will give you 15 free spins and 5 scatters will give you 20 free spins. You can also retrigger this feature; it means you can double the free spins to up to 40.